Rasam is a simple clear soup style recipe accompanying a South Indian meal. Just as its “sibling “, the Sambhar, it is one of the most versatile and popular dishes of the south. The heat of the rasam, begins from a home ground rasam powder. The rasam powder is a medley of.. spices, which upon roasting releases its medicinal properties. Rasam is at its best if you have a cold or a cough and you mouth feels tasteless. It’s one of the least effort dishes in the Indian cuisine once you get your proportions right.. With a small portion of rice…soaking in a deep bowl of rasam..yummmm… there are no sniffles and coughs anywhere near. Let’s now begin with the powder. And the lentils… Split pigeon pea – to provide a bit of thickness and flavour to the dish. Here, I have highlighted only the properties that may be important when you may maybe down with a cold or a flu. But as we have portrayed earlier each of these spices afford more than just this benefit. Over all the rasam powder is a good one to keep handy. In addition to just rasam.. Try a sprinkle in your stir-fry, your mixed veggie gravy or to your flat bread to create a loving aroma and enhanced taste. I do liberally sprinkle this on peanuts as I roast them with a drizzle of oil too. There are many many variations to this powder. Please leave your suggestions in the comments to try too. Set a plate ready with turmeric placed in it. Set a cast iron wok / kadai, on a low heat. Dry roast the Split pigeon pea till golden brown. Remove and place it on the plate to cool. Roast the jeera and black pepper next. Place them in the same plate. Dry roast the red chilies and follow the same. Cool down and powder well. Store the powder in a air tight container. You can choose to use turmeric powder as some spice mill may not be strong to powder the dry turmeric root. 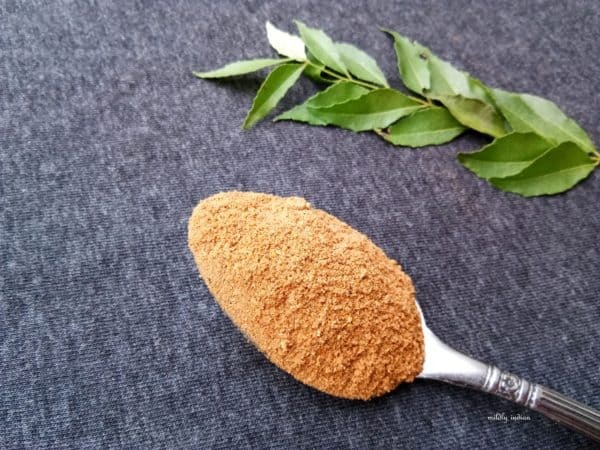 The curry leaves can be taken off if you are adding fresh, but I find it most convenient to have all in one. For rasam for 4 people we need around one tbsp of rasam powder. 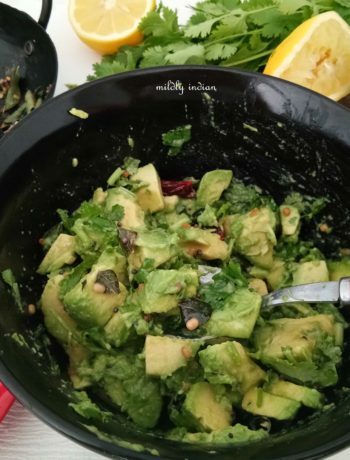 Curried avocado dip- the guacamole upgrade. 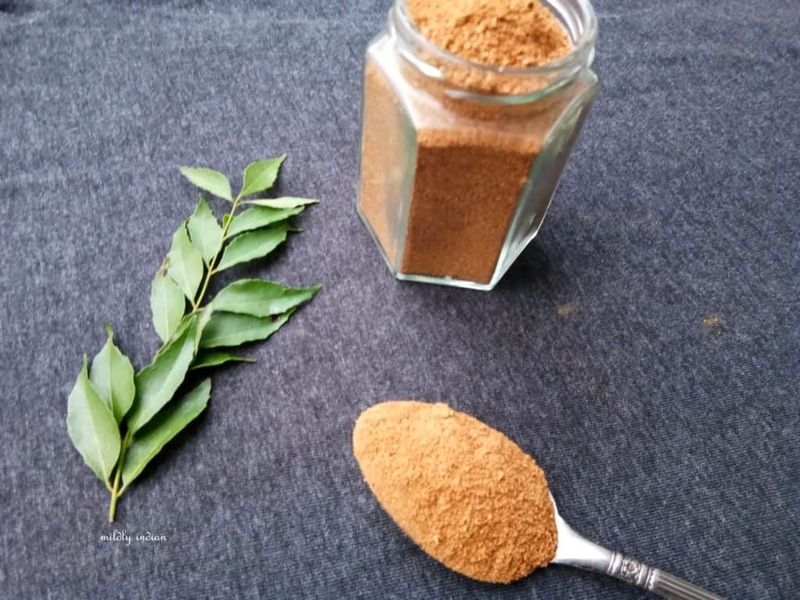 My son loves rasam so much this rasam powder would be so handy in my kitchen, lovely recipe. 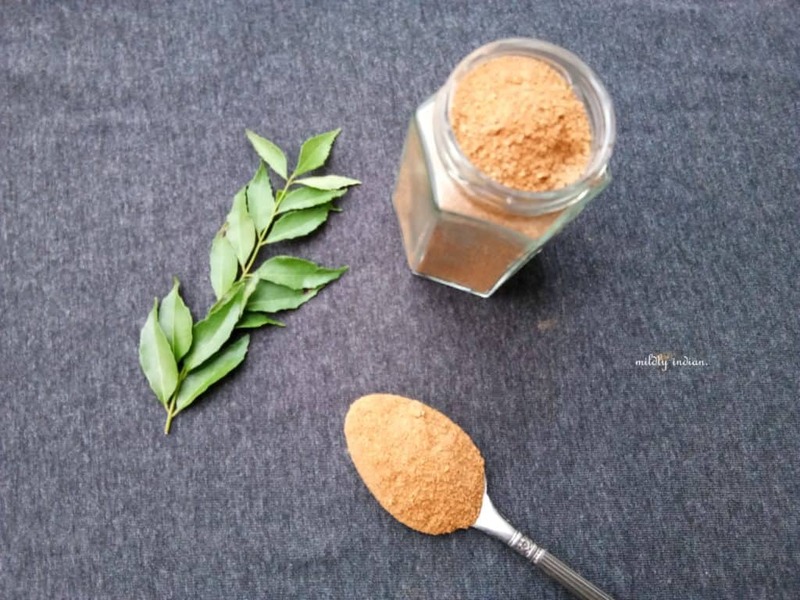 Homemade spice powders are always the best, since i started cooking i never bought a single time rasam powder from stores. I just love making this powder at home with my own combination and spices sometime. Such an aromatic spice powder na. I love homemade spice mixes — they are authentic and without any unnecessary ingredients. The shop bought spices will have a list of ingredients running down the whole page. I love rasam and I got introduced to it during my college days when we had gone to Chennai for an inter college sports meet. Since then, I am hooked on it especially when I am feeling a bit under the weather. It is the perfect warming and light soup! I like how you added the healthy properties of each of the spice! Nothing like a large bowl of hot homemade rasam to enjoy with rice or as a soup!!! 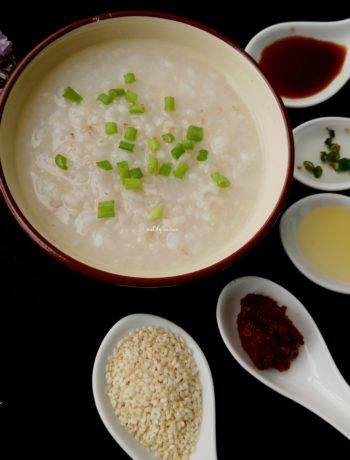 Looks so flavorful and easy too…must try soon!! Awesome share! Definitely this rasam powder will enhance the taste of any rasam. fabulous recipe documented. Homemade masala are surely a great share as they are freshly made, and so flavorful as compared to storebought. 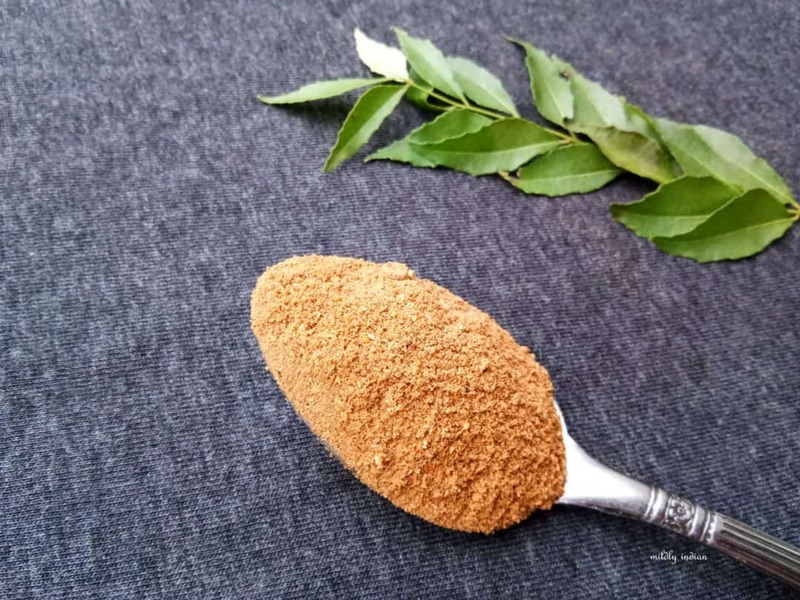 Homemade Rasam powder always best then the store brought ones.Itoo make rasam powder in home only. Mine is slightly different from your recipe. I use cumin and pepper only. The best rasam’s secret is nothing but it’s Rasam powder. You just revealed the secret ingredient I guess I always pack my mom’s rasam powder and other spice mix whenever I go home. I have been thinking to give myself a try to see how good I am at this. Your recipe reminded me and it said it’s time for that. 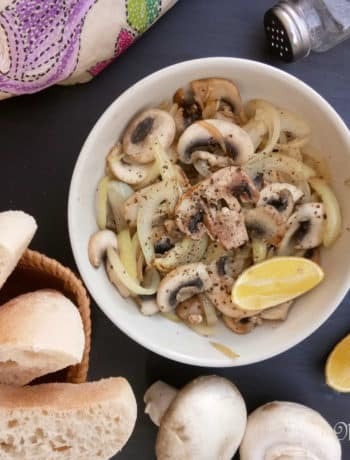 Thanks for sharing the wonderful and needed recipe. This is one of the essential powders in my kitchen shelf. Rasam is one comfort or quick meal that we can make. Nice share. Homemade Rasam powder is always the best. Such a flavorful and fab recipe. I am a fan of Rasam and can have it any time.Superb share. Rasam is my most favourite south indian dish. Love the taste and flavour specially when it is freshly grounded.. lovely share.